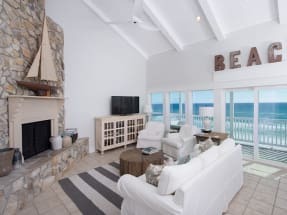 Welcome to Sugar Dunes in Seagrove Beach! 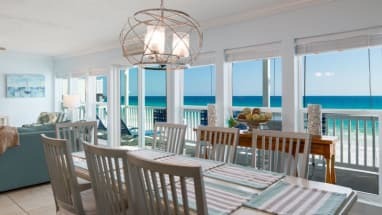 These beautiful condo rentals overlook the emerald green waters of the Gulf Coast in 30A, Florida! 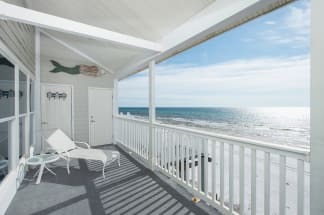 The complex sits directly beachfront providing incredible ocean views, easy beach access and a prime location for your next family vacation, couples getaway or personal retreat. The building sits in a secluded cove at the end of a dead end street. Providing the ultimate peace and relaxation on your vacation. The complex offers large 3 bedroom units with large balconies! 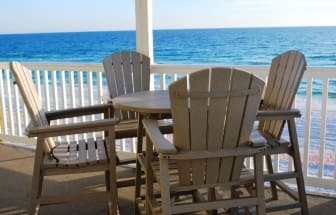 Sugar Dunes sits inside of Seagrove Beach, which contains some world-class dining, shopping, and entertainment. This area sits along 30a highway which provides easy access to other areas like Seaside, Watersound, Grayton Beach and Watercolor! Bike rentals are prevalent in these areas and provide some of the most beautiful rides you can imagine! After your ride, enjoy a nice meal at places like 723 Whiskey Bravo, Cowgirl Kitchen or Cafe Thirty-A. You are in for a treat! How to book Sugar Dunes Condos. 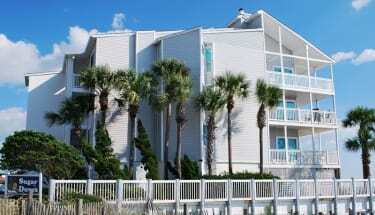 Book your Sugar Dune condo directly on Emerald Coast By Owner. Browse our listings and find which accommodates your rental needs. Use the Email Owner button to get a quote and book today!